With 67,489 trips last Wednesday, Citi Bike hit a new daily ridership peak for the ninth time this month, according to an email sent to members this morning. Riders have made 10 million Citi Bike trips so far in 2016, reaching the milestone more three months earlier than last year. NYC’s bike-share system is in the middle of a three-year expansion plan, with the service area now extending up to 110th Street in Manhattan and into the Brooklyn neighborhoods between Prospect Park and the Red Hook waterfront. Record ridership should be expected as the system grows, but it’s notable just how many people use the system now. On days with good weather, notes Citi Bike, ridership is comparable to the Staten Island Ferry or the boro taxi program. For international comparison, London’s bike-share program, which is three years older than New York’s and has more stations and bikes, has only topped 60,000 rides twice in its entire history, according to Transport for London data. Only Paris’s Velib and China’s massive bike-share systems get more ridership. 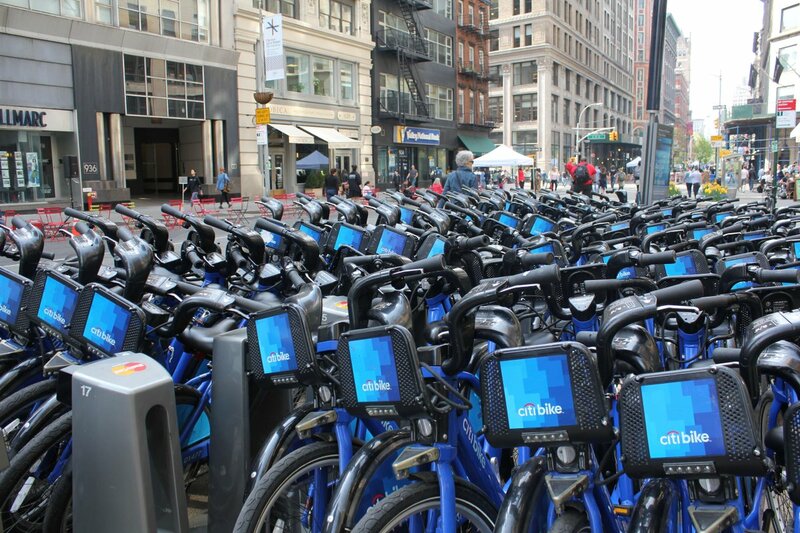 After declining in 2014, Citi Bike ridership started to turn around last summer when new ownership made a slew of improvements to the system’s hardware and software and began to add new stations. The question now is how the city and Motivate will keep the momentum going after next year’s round of expansion in Manhattan, Queens, and Brooklyn. DOT says its goal is to bring bike-share to all five boroughs, though it has yet to provide a timetable for doing so. Now if only they added bikes as quickly as they are adding stations. At least a dozen times this summer I’ve been stranded in midtown with zero bikes for a half mile or more in any direction in any of the stations. 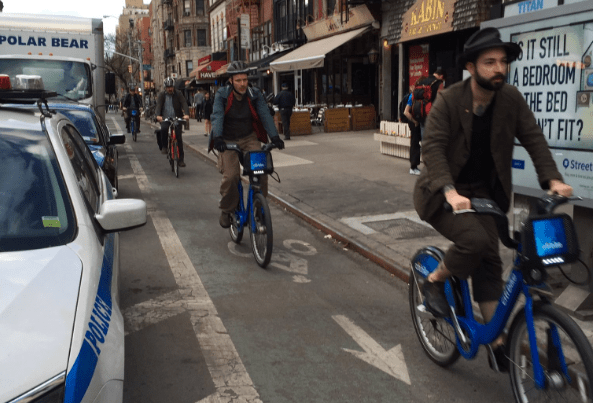 Meanwhile, during that time, you’ll see almost no completely full stations — even in the east village in the afternoon. It’s obvious they haven’t infused the system with an equal number of bikes. To be fair, there’s oodles of room in NYC. The city streets are half empty compared to London. 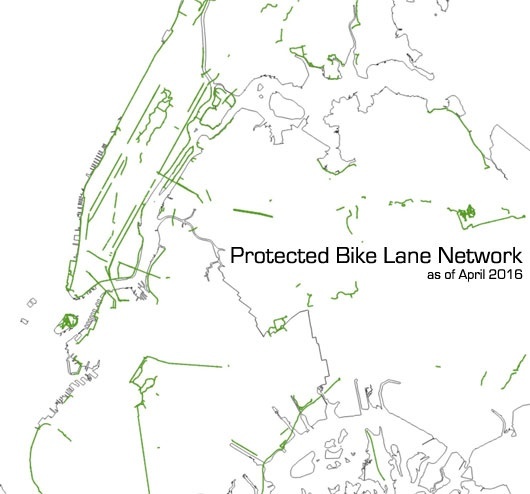 So it’s easy for New Yorkers to expand bike lanes without much political kickback. Actually half is a very generous estimate. NYC is empty compared to London. Good point, there are many huge streets that need more space dedicated to non-motor vehicles. Even many of our “narrow” streets are actually quite wide; it’s just the rows of massive vehicles that make them look narrow. Without parking on both sides we could have two-way bike traffic and wider sidewalks on these streets. I wonder if this is simply because bikes are piling up at valet stations. Wow, more riders than the SI ferry? Since they now have that milestone, maybe they can compare the costs of the two systems to show which is giving better bang for the buck. They are stations staffed by workers who corral bikes so that the dock does not fill up.